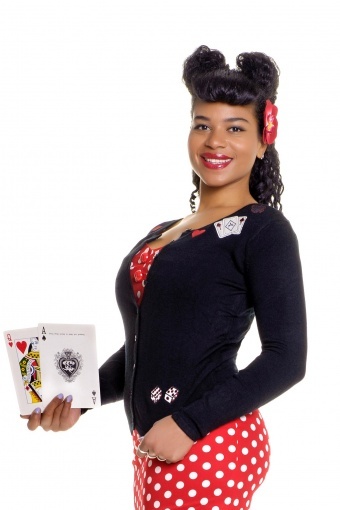 Vintage inspired 50s Jo cardigan Vegas black from Collectif. 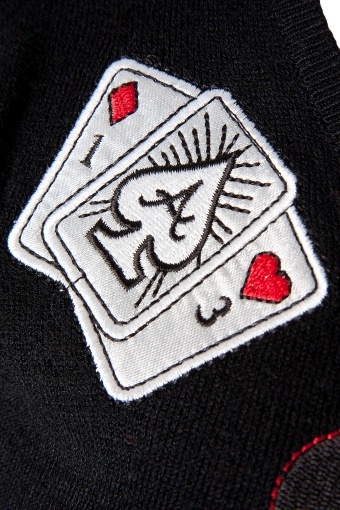 This little baby is just the thing to top off any fashionable number. Not too warm, and not too light. Perfect for every season! 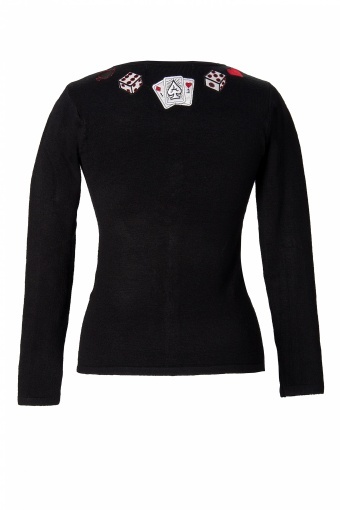 A timeless black cardigan – round neck, long sleeves & button up. 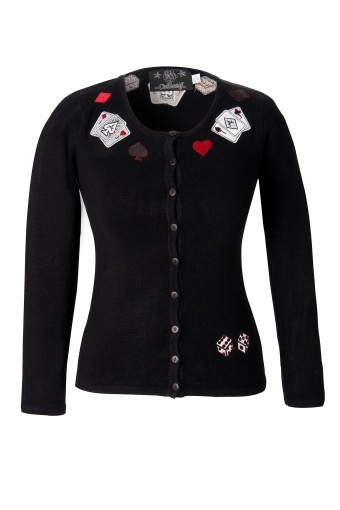 It has cute 'Las Vegas' appliqués & looks just perfect with our dresses or teamed up with jeans. The model wears the Dolores polka dress.